Tomatoes are one of our favorite garden fruits. Years ago, before starting a backyard garden, we purchased a delicious marinara sauce from a local Italian popular restaurant. We could not figure out how they made such outstanding marinara sauce. After about 10 years of growing tomatoes, we have figured it out. It starts with the tomato variety. Roma tomatoes make the best marinara sauce. They have good texture and a sweet, rich flavor. 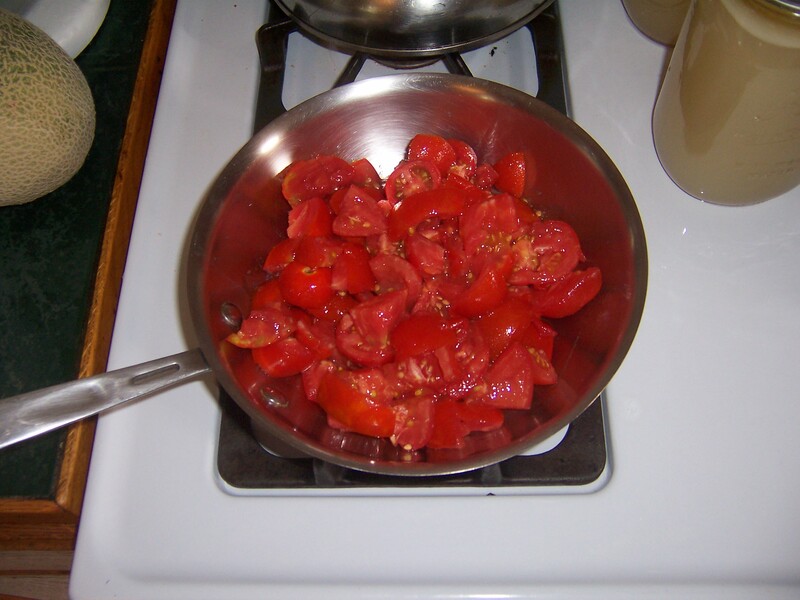 After harvesting our Roma tomatoes we chop and cook them on low for about an hour on the stove. We use the whole tomato and a stick blender for smooth sauce. We add a few leaves of chopped basil, about 3 tablespoons of olive oil, a clove of garlic, salt, and a little sugar. Simple and delicious. Sometimes we add some Italian seasoning for diversity.